"Stay away from my wife." Screen Gems has debuted the first trailer for another home horror thriller titled The Intruder, a movie being released in late April next year. Sony seems to be positioning this as counter-programming to Marvel's Avengers 4 when it opens at the end of April as well. The "psychological thriller" is about a young married couple who buys a beautiful Napa Valley house on several acres of land only to find that the man they bought it from refuses to let go of and leave the property. 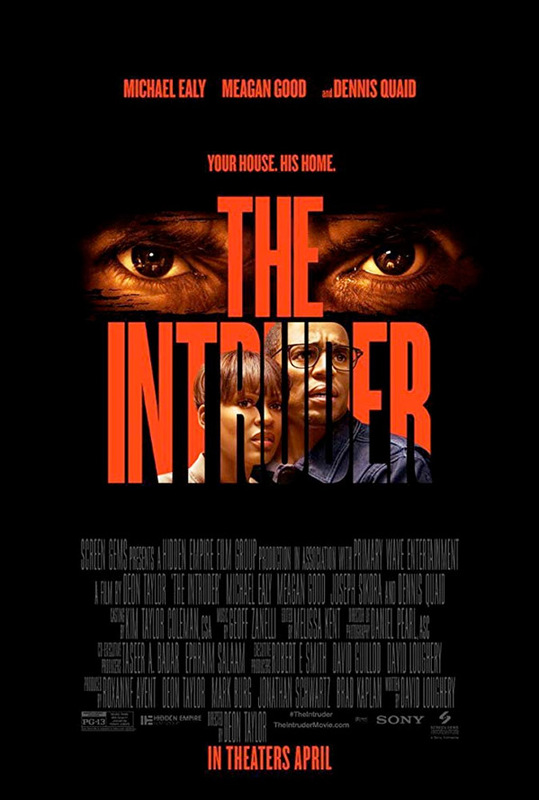 The Intruder co-stars Michael Ealy and Meagan Good as the couple, with a full cast including Dennis Quaid, Joseph Sikora, Alvina August, Lili Sepe, and Lee Shorten. It looks like Quaid is really going on all out the creepiness in this. When a young married couple (Michael Ealy and Meagan Good) buys their dream house in the Napa Valley, they think they have found the perfect home to take their next steps as a family. But when the strangely attached seller (Dennis Quaid) continues to infiltrate their lives, they begin to suspect that he has other hidden motivations beyond a quick sale. The Intruder is directed by American filmmaker Deon Taylor, director of the films Dead Tone, The Hustle, Nite Tales: The Movie, Chain Letter, Supremacy, Meet the Blacks, and Traffik previously. The screenplay is written by David Loughery. Sony's Screen Gems will release Taylor's The Intruder in theaters everywhere starting April 26th, 2019 next year. Your thoughts?